With your favourite photo printed on the case, your most beautiful memories will never leave you. 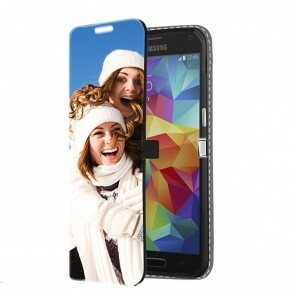 For example, take a great picture of your family or friends and print it on the Personalised Samsung S5 Case. You'll never be so pleased. At MyPersonalisedCase.co.uk, the customer satisfaction is our priority. This is why we offer you the best quality for your personalised phone case. In addition to quality, we also provide a fast service which allows you to create your case and we will print it almost immediately. You will then receive your case within a few days. Don't hesitate anymore, design your own Personalised Samsung S5 Case now!